Conceptual confusion has become a basic tool for cultural exploitation. We seem to think that throughout the history of mankind there has been no confusion of concepts until today. The leading role in this confusion, which is like a contagious disease, infecting the whole world and almost every culture, is played by the media.Unfortunately, it is impossible to determine what dimensions this confusion will take. For a concept to arrive at a state in which it has a different meanings for every person who uses it or in which it can be used in separate meanings according to conjecture not only obstructs the ability of people to correctly understand one another, but results in incorrect and unjust rules. The effect of this confusion, particularly in places which are under cultural exploitation, can be seen on a much wider scope; conceptual confusion has become a basic tool of cultural exploitation. One of the areas in which this confusion is widely felt in Islamic countries is the matter of religion. For this reason it is difficult for the different sides to understand one another in many of the subjects that are being discussed. The widespread ignorance in society on religious matters has not only led to an environment in which many instances of bid'ah can appear, but also one in which many positive innovations and religious components have become stamped as bid'ah. Without a doubt, one of the most debated concepts is the term bid'ah (innovation in religion, usually used in a negative sense).The widespread ignorance in society on religious matters has not only led to an environment in which many instances of bid'ah can appear, but also one in which many positive innovations and religious components have become stamped as bid'ah. In this situation people become full of doubts in religious matters, and perceive the religion as an institution that inhibits advance and innovation and as something that is not contemporary, thus causing them to become disinterested in religion. After briefly discussing the concept of bid'ah below, that is, roughly outlining what it entails, we will then, using this description as a Lydian stone, examine the Mawlid from different aspects. As a term bid'ah is a thing or action that did not exist before, or of which there had earlier been no example, or something that has newly appeared. It appears in this sense in the Quran (See Al-Baqara, 2/117; Al-Ahqaf, 46/9). The phrase "Someone performed a bid'ah action" means that "Someone introduced something new, started this matter for the first time, and thus this is something new." In short, as a term bid'ah is a thought, action, characteristic or type of object which has recently appeared and the like of which has not been seen before. In this matter bid'ah is not just limited to religion (belief and worship, sins and blessings). The word Mawlid means time and place of birth. This term has taken on a wider meaning now that encompasses the day that the world was honored with Prophet Muhammad, the different activities that are carried out in connection with this day and the naat,qaside or other types of poems that have been read for many centuries. The actual intention of reading the Mawlid or having it read is to express pleasure that this world was honored by Prophet Muhammad. The actual intention of reading the Mawlid or having it read is to express pleasure that this world was honored by Prophet Muhammad. There is no religious objection to feeling pleasure about this day, the most important time from the creation of the universe to the Day of Judgment, or about expressing that pleasure. Of course, there are those who are opposed to the Mawlid in that it resembles the recent Western style of birthday parties, or see it as a type of Christmas, a tradition again from the West, we have nothing to say. In any case we are not writing for these people. But the day on which Prophet Muhammad was born and on which he honored this world cannot be an ordinary day. Thus, within legitimate bounds, to gather in one place on this day, to talk about religious matters, to send greetings to the Prophet, to feed people, to exchange gifts and to read some hymns or poems that praise Prophet Muhammad, or, as the Department of Religious Affairs has successfully done in recent years, to establish a Week of the Holy Birth, reminding us of the Prophet in a variety of ways - why should this be considered to be wrong or a bid'ah? Even if there are different practices, basically a Mawlid ceremony takes place as follows: an institution or an individual organizes a ceremony for the celebration of the anniversary of Prophet Muhammad's birth. The people who gather for this ceremony listen to Quranic verses, hymns or poems that are read by one or a few people who have been chosen, greetings are sent to the Prophet, people pray, listen to a lecture from one who is knowledgeable about religious matters and eat the meal that has been prepared, sending blessings to the ancestors of those who have organized this ceremony. The mawlid that was written by Suleyman Chelebi,Vesiletu'n- necat, is the most commonly read mawlid in Turkey as it is a very beautiful poem. In eastern regions poems that are written in the local language are read. In fact, these types of qasides, jenks and other types of poems were widely read in earlier times in the village halls at times other than Mawlid. It is possible to say that there are volumes of naat poems which were written to praise the Prophet and to express what he brought to humanity. There are those who are opposed to the Mawlid in that it resembles the recent Western style of birthday parties, or compare it to holidays like Christmas. It should have appeared at a later date: To praise Prophet Muhammad, to write poems with this intention and to read them, to send greetings to him, to feed others, to gather to discuss religious matters, these are not something new; some of these are matters suggested in the religion and which are said to bring blessings. Others were performed during the lifetime of Prophet Muhammad and were approved of, for example writing poems that praise him and reading them...Those who divide bid'ah into that which is incorrect and that which is correct describe the correct in the following way: "Those practices which are actually part of the religion, and not the details of those practices." The matter of the Mawlid actually exists in the religion; naat were written and addressed to Prophet Muhammad, they were read in his presence and he approved of these and rewarded the readers with a present. The formulation called gasil and the details came later, and if there are some errors in the details, this does not mean that the essence is not present in the religion. It is not based on canonical law: As quoted in the first section, some parts of what is done at the Mawlid ceremonies are from the Sunnah; the other actions, even if not Sunnah are mendup (laudable) or mustahab (permissible). These terms mean actions that the Prophet would sometimes do, while at other times he would not; they were approved of by the Companions and if such actions are performed there is a reward, but if they are not performed there is no punishment. There is nothing against such actions in canonical law. It should be preformed as a form of worship: This matter is more important than the earlier ones; in any case it is known that the reading of the Mawlid is seen by some people to be a form of worship in itself. Of course, the prayers, blessings, feasts and religious lectures that are held in connection with the Mawlid ceremony are a form of worship because of the blessings they bring. The text of the mawlid cannot be called worship as a religious term, but similar poems addressed to Prophet Muhammad were written and read in his presence and he was pleased with this, giving the poet valuable gifts; so even if this is not a form of worship, this type of reading cannot be called bid'ah. Thus, we can say: when the matter is looked at as a whole, the Mawlid ceremony is not a form of worship like prayer or pilgrimage, however, it carries a few components that are forms of worship and which bring blessings. In contrast to this, the same cannot be said about a matter which has been forbidden. It should be as if canonical law: the Mawlid ceremony, as a whole, from this aspect, is not bidah, as it does not resemble the canonical forms of worship. That is, the people are misled by such similarities, but the Mawlid would not confuse them as there are no forms of worship that resembles it. It shows the aptitude to become general: There is no suggestion or practice, officially or by private institutions, nor by religious leaders that the Mawlid be read as part of general religious practices or that such a ceremony be held for the same reason, nor are those who do not perform the Mawlid criticized. I wonder how many families observe or read the Mawlid out of the billions of Muslim families in the world? Thus, from this aspect the Mawlid is not bid'ah. Within legitimate bounds, to gather in one place on this day, to talk about religious matters, to send greetings to the Prophet, to feed people, to exchange gifts and to read some hymns or poems that praise Prophet Muhammad, or, as the Department of Religious Affairs has successfully done in recent years, to establish a Week of the Holy Birth, reminding us of the Prophet in a variety of ways - should not be considered wrong or a bid'ah. There are also Mawlid poems that are read on days other than that on which Prophet Muhammad was born. I think that a large proportion of the criticisms are actually directed towards these practices. Mawlids are read when people return from pilgrimage, for weddings, for recovering from an illness, for starting a new business, for moments of happiness or to mark a death. Even if the people have not really thought the matter out and are only reading a Mawlid because it is tradition, their aim should be the following: those who read the Mawlid for joyful occasions are inspired to do so to express their gratitude to Allah for these blessings and opportunities. When people participate in the giving of thanks via feeding others, praying, sending blessings to Prophet Muhammad, participating in religious lectures and listening to the text of the Mawlid, which includes passages about the life of the Prophet, i.e. when they are exposed to "non-official components and intentions" they are participating in a glorious tradition that is not forbidden. The intention of those who read the Mawlid for those who have died, remembering them with prayers, feeding people and giving charitable alms, is to perform actions that are not forbidden by the religion, but rather, ones that are encouraged. There are also Mawlid poems that are read on days other than that on which Prophet Muhammad was born. I think that a large proportion of the criticisms are actually directed towards these practices. The phrase above "non-official components and intentions" needs to be explained in a bit more detail. a) At no time has the text of the Mawlid been considered to be a holy text like the Quran, or has it been thought that it brings blessings when it is read or listened to. In fact, hadiths are not even considered to be such texts. b) It is said that the persons who read the mawlid text have turned it into something commercial, and that they receive a large sum of money for reading it. Of course, the thought that such an action that is a vehicle for blessings be read for money or commercially destroys the purity of it and criticisms made from this aspect are justified. The exploitation of the pure/clean emotions of well-intentioned people is never right and in fact, if this task is performed with the same attitude that earned the divine rebuke "Don't sell My verses cheaply", then this can never be approved of. However, if the person reading is given a gift, without discussing money, with no expectations, without bringing the matter down to the market place, then this is an action inspired by Prophet Muhammad, who gave a gift when read a poem; there is no problem with such an action if it is done with the correct intentions. At no time has the text of the Mawlid been considered to be a holy text like the Quran, or has it been thought that it brings blessings when it is read or listened to. In fact, hadiths are not even considered to be such texts. c) As the Mawlid is held for the purpose of blessings and is concerned with Prophet Muhammad, everyone, in particular those who read the Mawlid, at the ceremony is expected to behave seriously and sincerely. Free and easy behavior, ostentatious display, excessive talk and a lack of emotion from the heart renders such a ceremony not only insincere but will also give rise to criticism; it is doubtful whether any blessings can be gained from such a ceremony. d) At this juncture, the mawlid text, or even some Quranic texts, which the people have been accustomed to, have been partially memorized by the general public, but due to some changes in sounds or games being played with such texts they have become unrecognizable, and fallen victim to heedlessness and carelessness. The result is that these texts cause no emotions in the heart, no new information, no sudden realizations... Thus, such practices are not only unbeneficial, they are outright harmful. 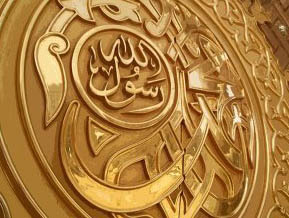 When one is speaking of Prophet Muhammad and Allah one should not be careless, overly familiar or ostentatious. Every form of worship and religious practice in Islam underlines this fact. e) Another important point is this: even though some establishments and foundations or some people perform the Mawlid, if it is intended as a reaction, particularly to the Christian celebration of the birth of Christ, then it can never be approved of and it is forbidden by Islam. Every action we perform is for the sake of Allah, for His approval because He has commanded us to do so, or in order to get to know Him better. Thus, we cannot make unilateral decisions on this matter, we cannot follow our own wishes, and we cannot merely do whatever we want. It must be emphasized that extravagance, excessive spending and offerings or extrae treatment of those who read by giving them large amounts of money will destroy the purity of the occasion; such actions cannot be approved of. f) Finally, it must be emphasized that the extravagance, ostentatious spending and offerings or the extravagant treatment of those who read by giving them large amounts of money will destroy the purity of the occasion; such actions cannot be approved of. Of course, there are no clear criteria in this matter, however, it should not be forgotten that a gentle, uncorrupted conscience should evaluate what is happening in the best possible way and we should object to every error and do our duty. It is not possible to discuss or present everything concerned with the Mawlid in a short article; this is a matter which has been widely discussed. But, as with many other matters, if the Mawlid is implemented erroneously due to insufficient religious information or awareness - and as with every matter, this is a situation that gives rise to serious problems - then it is our opinion that reading or having others read the Mawlid is religiously forbidden and it is a bid'ah action. More detailed academic works can be read on this matter. I pray that Allah will bless us with the most suitable and correct meaning and living of our glorious religion. (1)Katip Chelebi, Mizanu´l- Hakk, 99. (2) For more information, sources and examples on this matter, see: Abdulhakim Yuce, Tasavvuf ve Bidat, Ist. 2000, pp. 1-49.